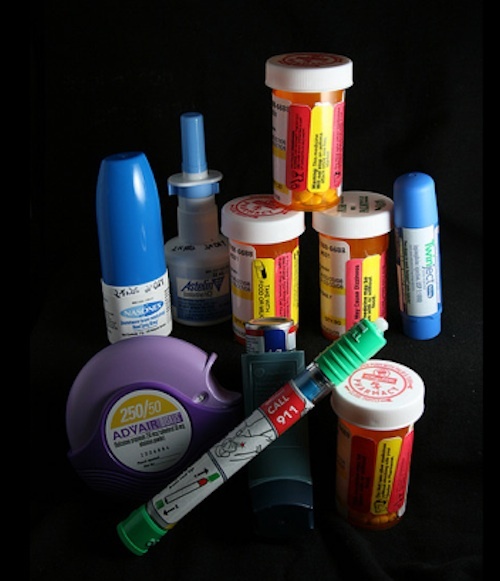 Every year, approximately 1.3 million people suffer injury due to medication errors. Yet few people realize the risks that come into play from the time a medication is prescribed to the time it’s picked up from the local pharmacy. The many people involved in the chain of actions necessary to fill a prescription can complicate the process. Errors can occur, and your medication may be compromised. You may suffer severe consequences due to prescription errors by doctors, nurses, other medical staff or pharmacy personnel. There are numerous ways a prescription can go awry. The most common are listed below. The above are just a few ways that medication errors occur on a regular basis – and they can happen to anyone, regardless of the type of medication needed, medical facility, pharmacy, age or location. For instance, if you are on many medications, some may conflict with others. This can compound your illness and further damage your health. Such an error might even be fatal. It’s always a good idea to get a second medical opinion about your condition and the course of treatment, particularly when long-term medication is prescribed. And if you find yourself experiencing symptoms that you suspect are due to a wrongly-prescribed medication, seek medical help immediately. Additionally, those suffering from symptoms of medical error, no matter how minor, should report every instance to their local pharmacy, their doctor and the Food and Drug Administration. Finally, consider contacting a local medical malpractice lawyer. For instance, patients located in the Maryland region would contact a Maryland personal injury lawyer if they suspect that they are experiencing a problem that could be attributed to a wrongly prescribed medication. Medical claims can be complicated, and you, as the injured party, should seek competent representation. Doctors and medical personnel are protected by malpractice insurance and their own legal teams. Their attorneys will attempt to minimize damages rather than compensate you properly for all of your losses. Also, each state has a statute of limitations on medical claims. Anyone suspecting that their caregivers made a medical error in regard to their medicine or care should seek advice from a qualified and experienced personal injury as soon as possible. Freelance writer Richard Freeland’s mother suffered mental and physical problems from the cornucopia of medication she’d been prescribed before a savvy doctor diagnosed the problem and eliminated most of them. The attorneys at Price Benowitz, LLP are experienced in representing victims of medical malpractice. Through their website, http://www.maryland-injury-lawyer.com/, you can discover exactly how they can help you and learn more about what to do if you suspect your medication is making you sick. Why is it Important to Maintain Your Website when You Don't Sell Online? 18 Responses to Is Your Medication Making You Sick? It can be scary! My mom never checks hers, just takes whatever they give her. The sad part is often as the consumer you would not know if your doctor prescribed it wrong or if the medicine in the bottle is the correct medicine. What a scary thought. And so many people just implicitly trust the healthcare system not realizing it is prone to error just like everything else! So scary to think about. I actually had a doctor call in the wrong prescription the other day. You honestly never know. I’m very careful with the meds our family takes. Especially my mom who takes a number of meds for her many illnesses and like Anne’s mom, my parents just takes whatever the doctor tells them to. Now I make sure to go with my parents to their appointments and ask questions before they have to take one more prescription. This was a real eye opener…thanks for sharing Donna! What truly scares me is how much this country relies on the pharmacutical industry to feel better. While I understand there are certain occasions where a prescription is mandatory, I always try natural remedies first! I am always very careful as to what I am given. I ask many questions and even once I am home I google the names of them. That is pretty terrifying! It makes me think of that scene in “It’s a Wonderful Life” where the old druggist put poison in the bottle mistakenly. That would be very sad if it was! I only take medication unless it is absolutely necessary. I sometime get nausea from medication. I actually just got a letter from my insurance company this week letting me know that 2 of the meds my doctor prescribed shouldn’t be taken together. Scary stuff! This is why I mostly rely on alternative medicine. Most traditional medicine usually does more harm than good, for me. Wow I’ve never thought of that before, I’ve always just assumed the right medication is in the bottle when I get it from the pharmacy. I am very careful with medications because I have many allergies, and my list seems to be growing every year. I worry about my in-laws and honestly, all senior citizens, really. They oftentimes take so many different medications and forget/neglect to tell one doctor what another doctor has prescribed. It’s scary. Before taking any medication we always make sure it’s the right one. There is a website that shows you what the medication should look like.